Operating a business requires a lot of capital, investment, assets, and great patience. There may be times when your business doesn’t run smooth and you end up thinking about selling it off. One of the biggest challenges that you may face while planning to sell of your business is that how to prepare a detailed Business Sale Agreement to avoid conflicts in the near future. 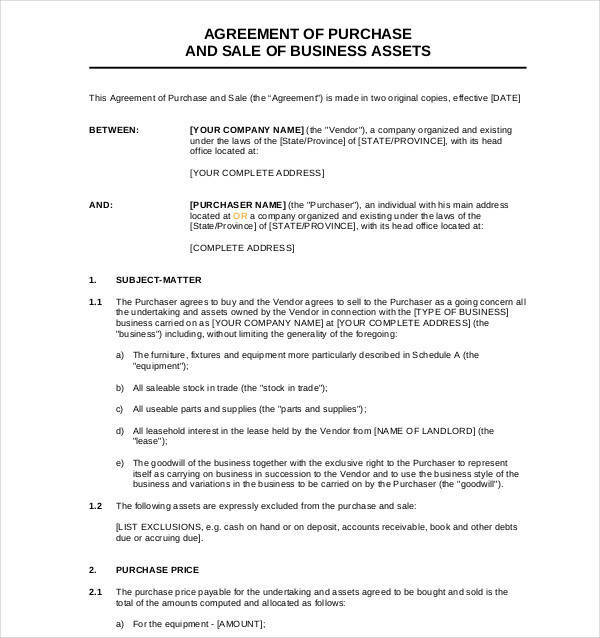 The Business Sale Agreement template is specially designed to help you procure a safe deal by mentioning each and everything about your business, its assets, and liabilities in detail. 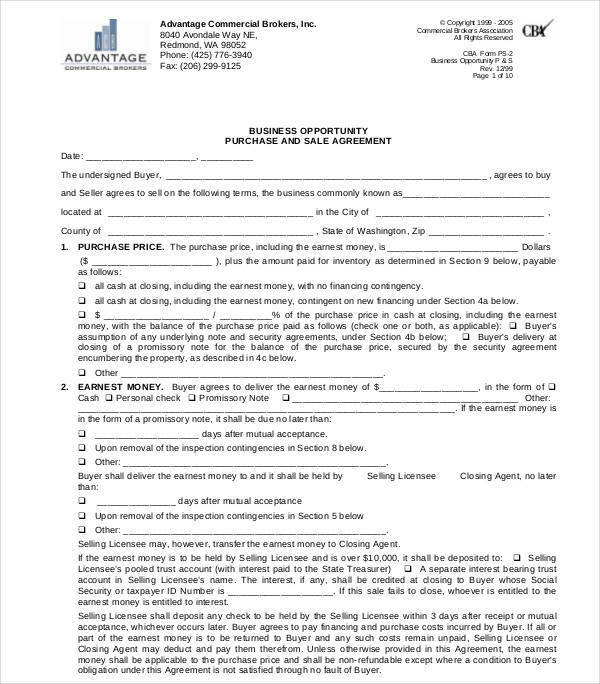 These templates enable you to buy or sell a business with confidence and duly complete all the legal formalities to avoid any future chaos or conflicts.You can see also Purchase and Sale Agreement. 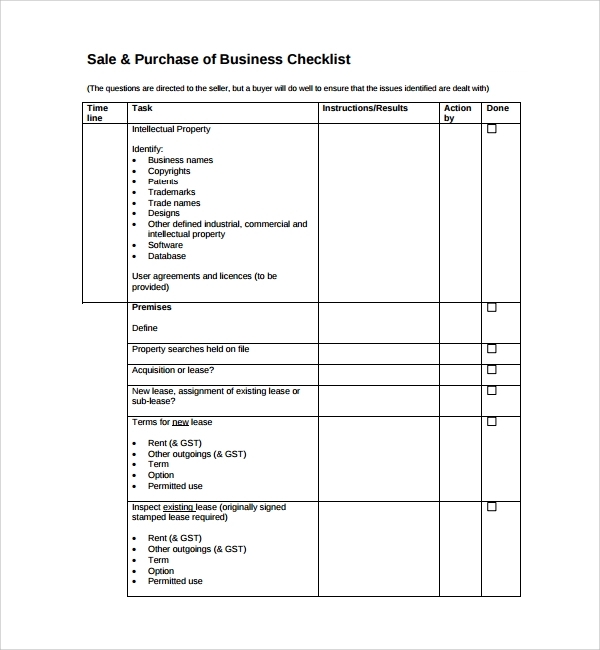 The Business Sale Agreement Template serves as an excellent base for creating, drafting, finalizing, and printing a detailed business selling agreement to help you procure a safe deal. Once you’re ready to buy the business of your dreams, all you need to do is to get these templates filled by the seller and take his/her signage for future referrals. The template will assist in setting down the detailed terms of the sale to make your purchase official and free from any legal enquiries. All of these templates come quite handy when you’re trying to negotiate the sale of a business. 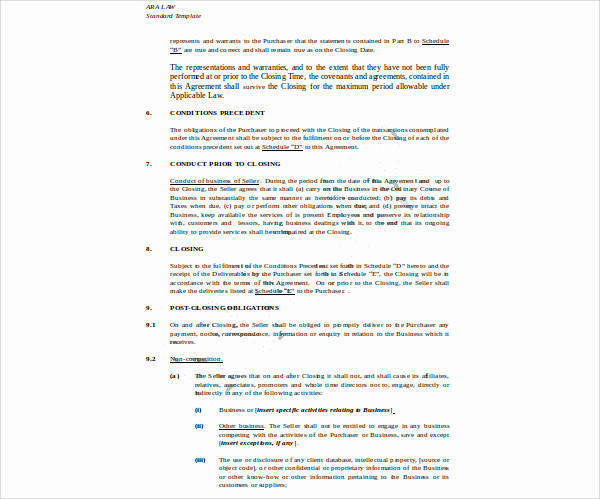 Additionally, it also helps in detailing and defining the important terms and conditions in an Agreement. To keep you on a safe side, all of these templates come with certain features and sections that can help you define the purchase price and the closing details of the transaction. If you’re selling your business, then it is important to ensure that you cover all your bases and provide all the information in detail to avoid any future questionings. If you wish to sell your business officially, then you’ll require preparing a detailed sales agreement that works as a key document while buying the business assets or stocks. 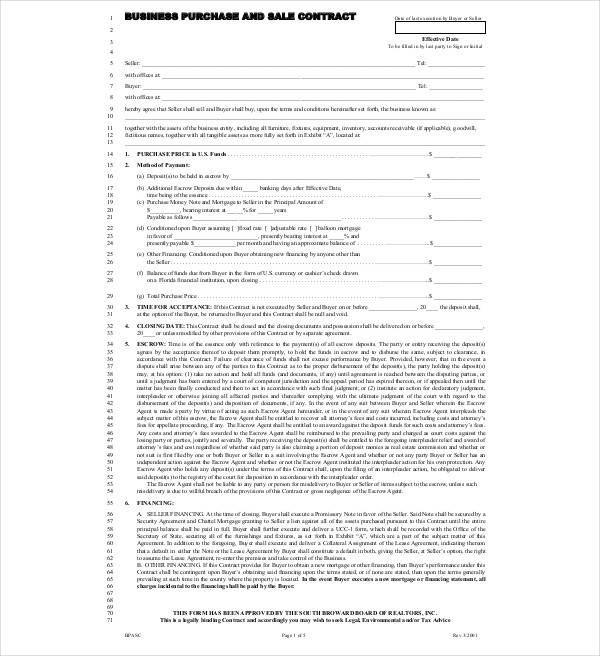 All of these templates assure that the created agreement is accurate and contains all the important terms of the purchase that are required to be enlisted in this legal documentation. If possible, one should always try incorporating an attorney reviews in this document to add an extra layer of security to your financial transactions. Date of closing and many others. One of the biggest advantages of using these templates is that they’re absolute time savers and you can easily sell off your business and its assets legally. All you require to do is to download these templates, make a few adjustments, add or remove sections as per your requirements and get them printed for final signage from both the parties. It is better to include a few witnesses in the contract to ensure that you don’t get trapped in any false schemes or traps. All of these templates are easy to edit and modify, hence, possesses great re-usability features to ensure that you never miss out anything important while drafting an important business agreement. These templates are committed to deliver top quality legal forms and agreement papers that can be used as legal documentation in case of any conflicts and disputes. All of these readymade templates are compliant with state and country laws to ensure that you made or accept a fair deal without any flaws. It is advisable to check and modify the terms and conditions section as per your preferences to add further information or headers, if required.